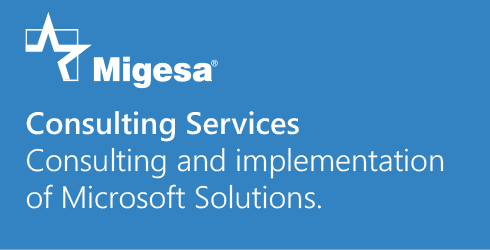 Professional services by Migesa Consulting Services are provided by qualified personnel having the highest certifications within the categories set by Microsoft for its Partners. Our services have the experience of Grupo Migesa as an integrator of TIC solutions and services, as well as the direct backup of the manufacturer (Microsoft). We put an extensive services and solutions portfolio within our customer’s reach, from update planning, technology implementation, in site personnel for administration and operation, to the support required to make the most of the technological infrastructure based on Microsoft platform.